With the Summer Season well and truly in swing, Rewarding Times has teamed up with Imagine Sunglasses to offer you a pair of Rayban Aviator sunglasses (model 3025) - the must-have accessory this summer. 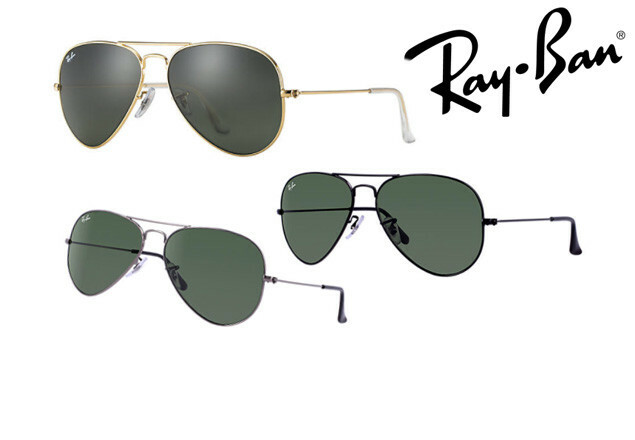 The original and still the best.The aviator was originally designed for U.S. aviators in 1937 and is now one of the most recognisable and iconic sunglasses in the World. Aviator Classic sunglasses are a timeless model that combines great styling with exceptional quality. With a classic gold, silver or black frame and a green lens which provides optimum visual clarity and 100% UV protection. Available in 3 models - Black, Silver and Gold. Lens width is 55mms, and bridge is 14mm.